of locally grown Nigerian produce. Tamorel Limited is an indigenous 100% Nigerian company that has pitched her tent in the highly uncharted agro - processing landscape of locally grown consumable goods. 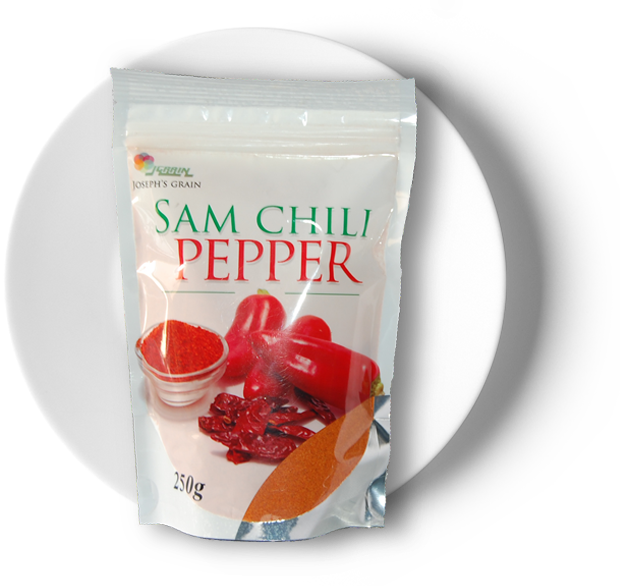 SAM CHILI PEPPER was birthed to take care of both the shortfall of traditionally-marketed powdered chili pepper and the limitations of existing competitors. 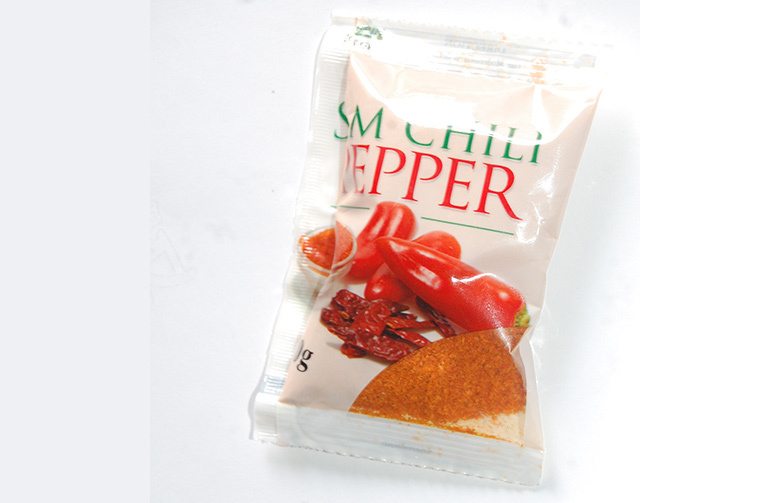 Two packsize in standup ziploc pouches and the other two in tear - off single use sachets. Please note that contrary to the market trends in our sector, what we write on our pack is what you get. We do not write 20g and give you 10 or 12 g. In short, weight indication on ALL our packages are not decorative but factual. This package size is a result of our engagement with our end-users. 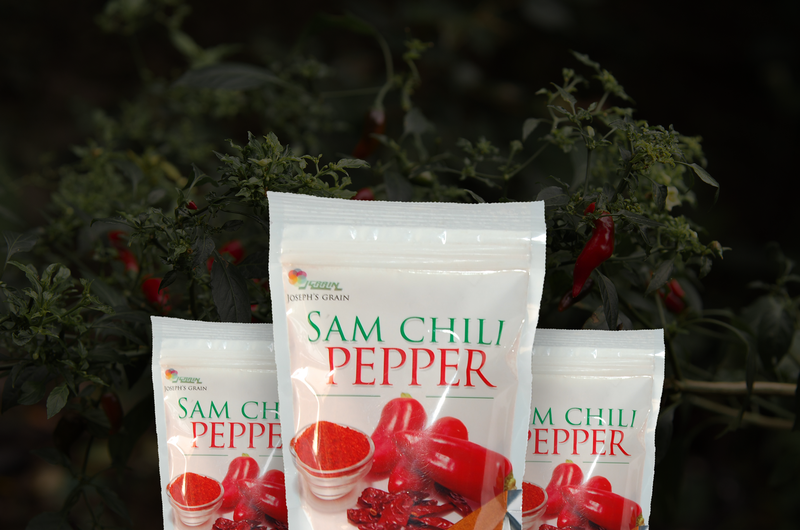 Our Consumers wanted yet a smaller package, and we went ahead to create one. 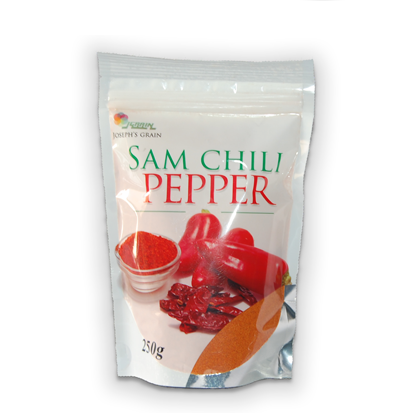 You can buy Sam Chili Pepper at most major supermarket chain lines and other lone supermarkets in LAGOS. You can get at Shoprite, Justrite, Hubmart, Spar, Bazzar, Mega Plaza, Oasis, Big Boss, Best Buy,Goodis, Winners,Daytona, Prince Ebeanor Admiralty (Lekki/Ikorodu),Adiba, Groceries & More,Hutoos, Bigmart, BuyMore, CCD, Supersaver, Fabek Ikorodu, ShopPerfect etc. You can also get us in OTA @Shoprite and @Justrite. 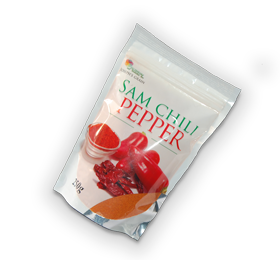 In Ibadan @Foodco Please note that we are working tirelessly to make this product available nationwide at least in ALL SHOPRITE STORES. 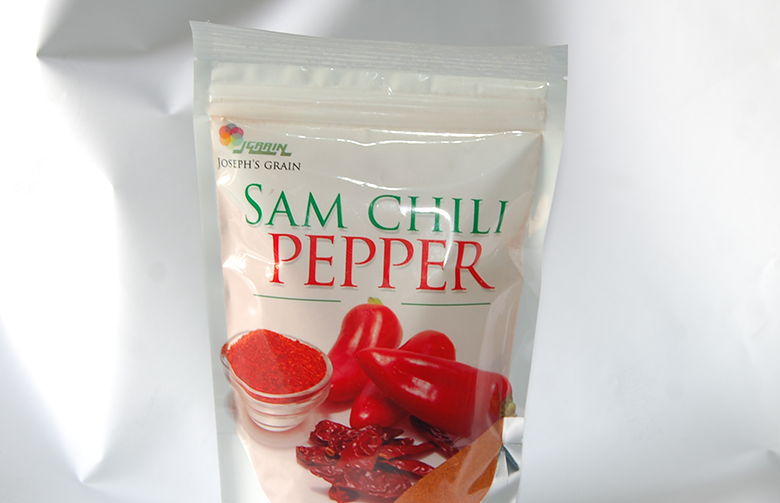 Meanwhile Interested Distributors/Wholesalers should contact us.